Many TV comedians work as double acts, such as Fry and Laurie, French and Saunders, Mitchell and Webb, Clarke and Dawe and Armstrong and Miller. Which do you think is the best comedy duo? 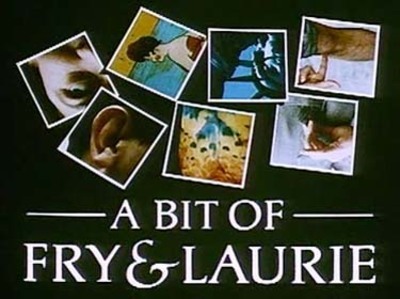 "A Bit Of Fry And Laurie Title". Via Wikipedia. My favourite duo is Victoria Wood and Julie Walters. They are brilliant together. IMO, THE best were Peter Cook & Dudley Moore. The former was a comedic genius, & the latter, one of the best jazz pianists' I've ever heard! Also most enjoyable were the 'Two Ronnies'. Love them together. Love them separately. Very witty. I am, however, a sucker for a good comedy duo . . . Morcambe and Wise, Pete and Dud, Two Ronnies, French and Saunders . . . . . twice the fun!